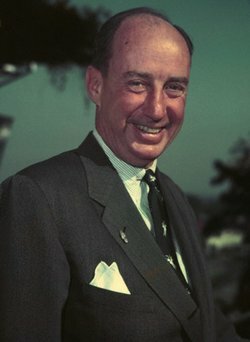 As Robert Howard pointed out in his Illinois: History of the Prairie State, most biographers of Adlai Stevenson II (1900-65) “concentrate on the presidential campaigns and United Nations career,” not Stevenson’s single term as Illinois governor. Stevenson, who grew up in Bloomington and lived in Libertyville, was governor from 1949 to 1953. Instead of running for re-election in 1952, he became the Democratic nominee for president, but he was defeated both that year and in 1956 by President Dwight Eisenhower. Stevenson became U.N. ambassador under President John F. Kennedy, a period that included a dramatic confrontation with the Soviet delegation during the Cuban missile crisis. Stevenson’s record as governor had both low and high notes. He failed in an attempt to rewrite the state constitution, and his term was marred by two major scandals — bribery of meat inspectors to pass horse meat as beef, and counterfeiting of state cigarette stamps. However, Stevenson also reformed state mental health and welfare administration, extended civil service protection to many more state employees, installed a merit system for state police and won substantial tax increases to support road construction. Stevenson’s gubernatorial candidacy had been promoted by Chicago’s Democratic Party machine, and Stevenson worked surprisingly well with machine lawmakers, according to Adlai E. Stevenson: A Portrait, written by Neil Busch prior to Stevenson’s 1952 presidential bid. To professional politicians, not the least astonishing feature of the Stevenson regime has been the Governor’s success in enlisting the cooperation of his own party’s disconcerted bosses and especially that of the senate’s Democratic minority leader, a battle-scarred veteran of the Chicago precinct wars named Bill Connors. Instead of becoming impatient with Stevenson’s innovations, Connors developed a protective feeling for him. Connors calls Stevenson “the little fellow in the mansion,” and nurses his pet projects through the mills of legislation like a Damon Runyon gambler caring for a foundling. This entry was posted in Presidential candidates, Prominent figures, State government. Bookmark the permalink. I have acquired an derelict Beech D18S which was used by Governor Adlai E Stevenson during the late 1940s and 1950s. We are in the process of restoring this aircraft to static display status and are gathering information and photos of this aircraft. Perhaps you may direct us to a source of reference for the purpose described herein. The aircraft will eventually be on a pedestal to the entrance of St. Andrews Airport, Manitoba Canada, just north east of Winnipeg International Airport. Mr. Barda: We have an interesting coincidence here, which I’ll explain to you in an email. Meanwhile, I’ll post your query in hopes another reader can come up with some of the information you’re seeking.